I have been thinking about bakng an Easter treat for a little while and when I saw that The Pink Whisk was having an Easter Bake competition, I had to enter! For me, brownies always bring to mind Easter, it must be their rich chocolatey taste and squidgy inside offset by a nice crunch on top. The other thing that comes straight to mind are hot cross buns. 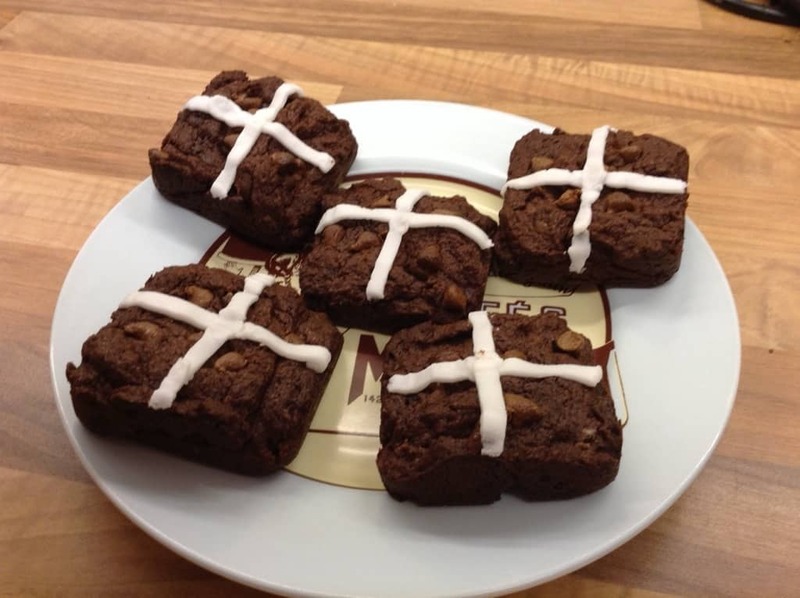 I decided to try to combine the look of both, in these Hot Cross Brownies. 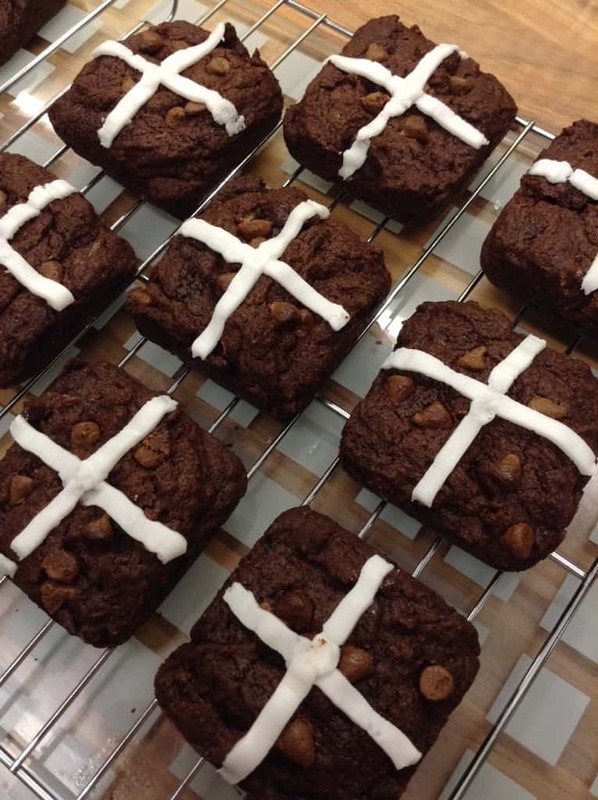 These brownies have chocolate chip “raisins” and the “hot cross” is made of icing. 1. Melt the chocolate and butter together in a pan over low heat. 2. When melted, remove from the heat and stir in the sugar. 3. Allow it to cool slightly, then beat in the eggs and vanilla extract. 4. Sift in the cocoa powder and flour, then fold together until just combined. 5. Spoon the mixture evenly into your greased brownie tray. 6. 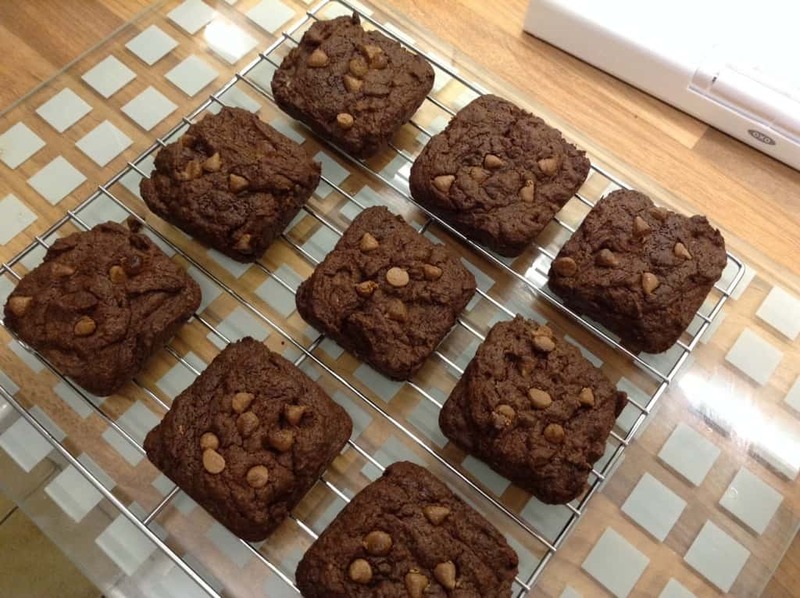 Scatter a few chocolate chips on top of each brownie. 7. Bake for 18-20 minutes at 180 degrees until just firm. 8. 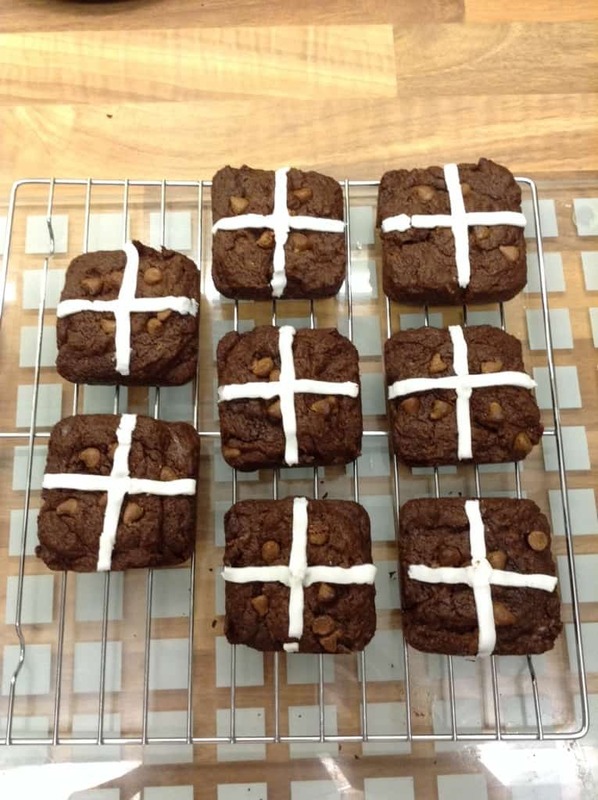 Allow to cool, then draw on the crosses using the writing icing pouch. They look great and my kids think they are great fun. Hope you enjoy them too! Thanks for stopping by Winnie!